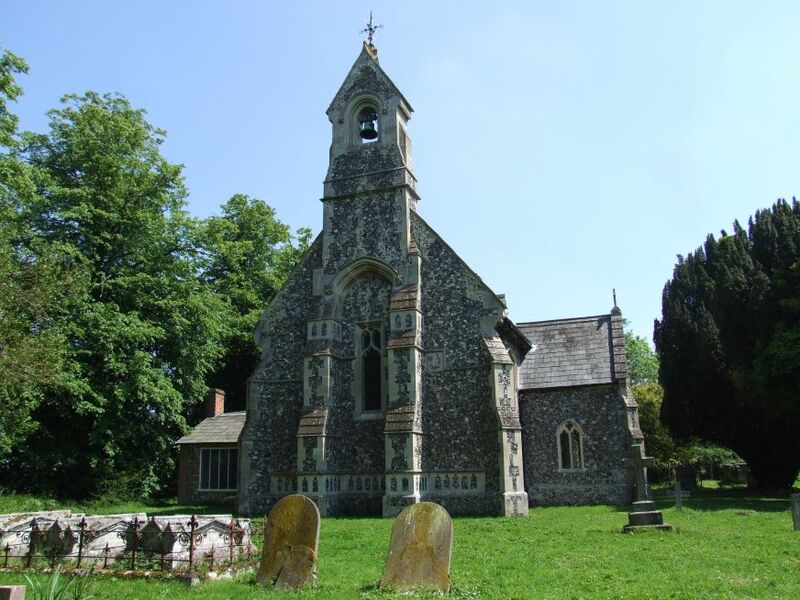 St Margaret was one of a swathe of Suffolk churches which suffered redundancy in the 1970s. 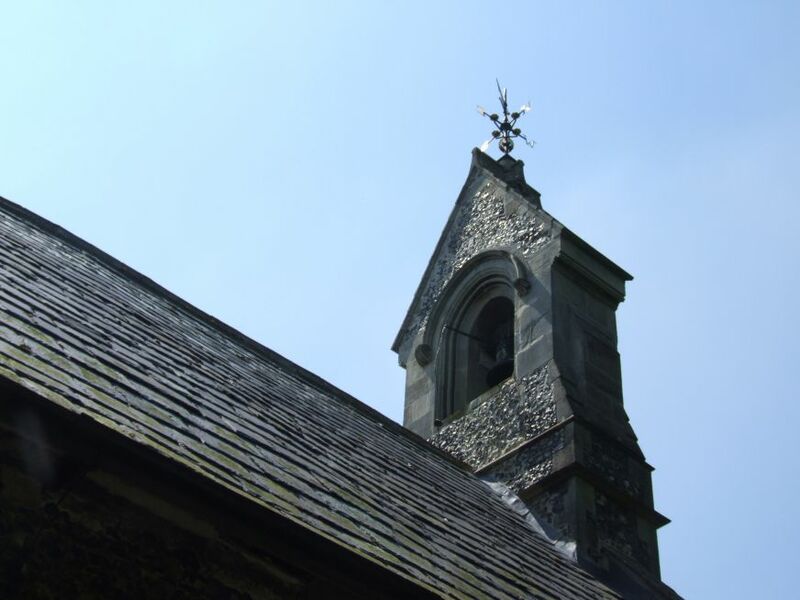 In those days, redundancy was a serious business; unlike today, when all manner of trusts exist to take on the care of unwanted churches. Back then, redundancy usually meant an offer of sale for conversion. 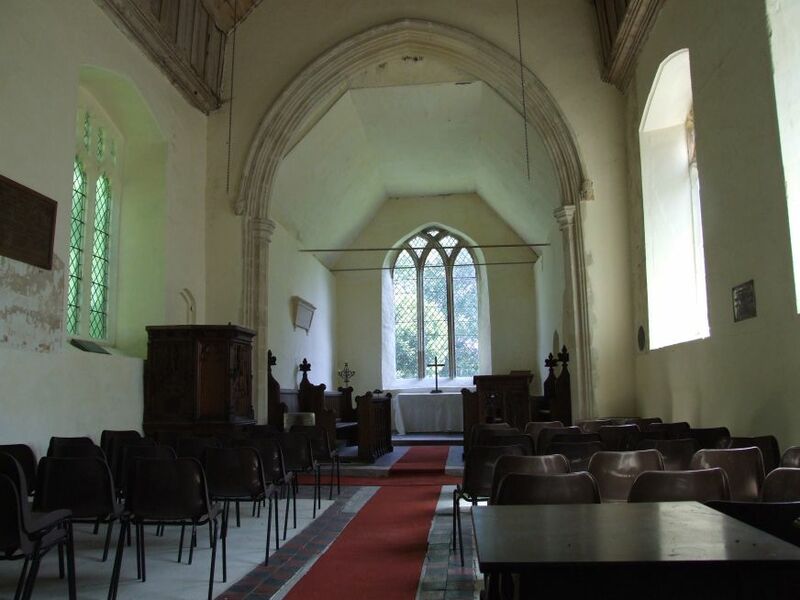 For an unlisted, largely 19th century, church like St Margaret, this process was limited to three years, after which an order for demolition automatically followed. Fortunately, St Margaret was not demolished, and neither did it become a private house. Uniquely in Suffolk, it was bought by the village, who still own it as a charitable trust to this day. 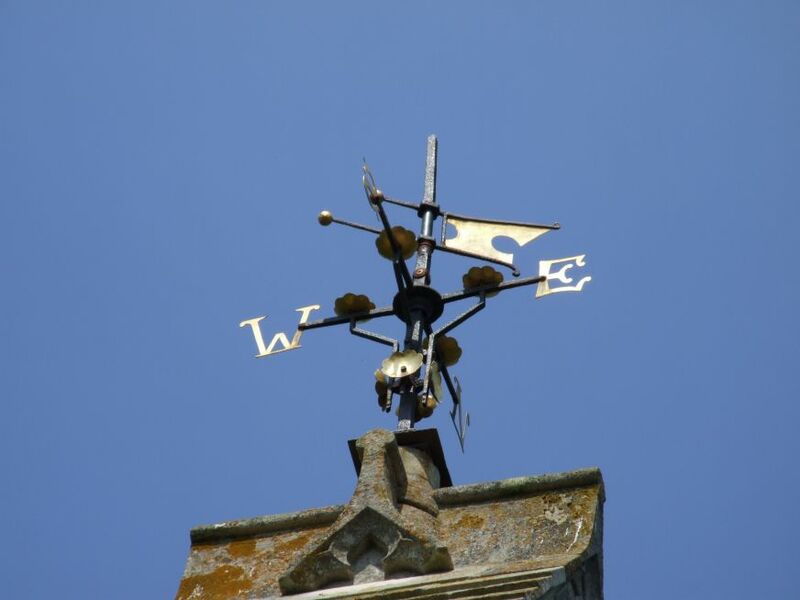 And, of course, the quality of the building is now recognised, and today St Margaret is safely listed. I first came this way in the late 1990s. On a number of bike rides, I had seen St Margaret off in the distance, and thought how lovely it looked. I said on the first entry for it on this site that there is a sudden thrill, like unexpectedly catching the eye and smile of a pretty girl. 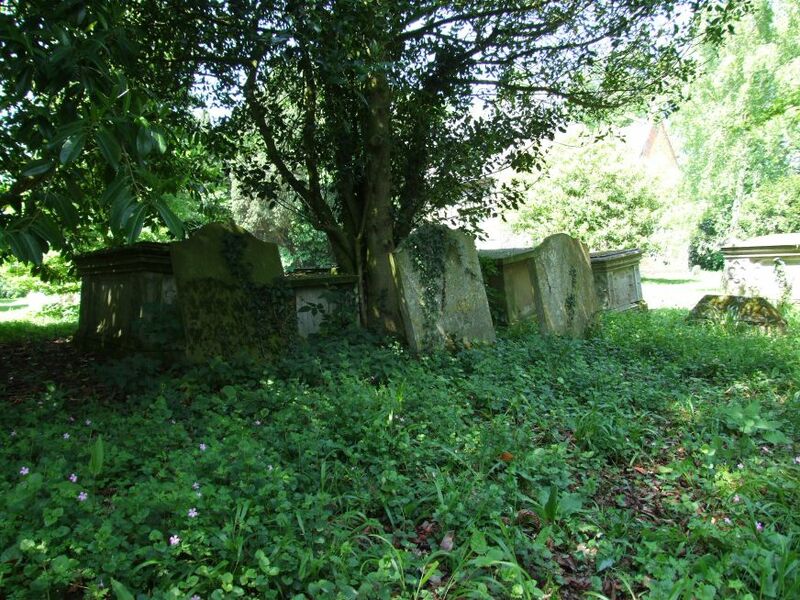 Closer to, it doesn't disappoint; the graveyard is full of 19th century trees, overwhelming in their maturity. The whole thing is a perfect piece of Gothic drama. Mind you, it wasn't always Victorian in appearance. 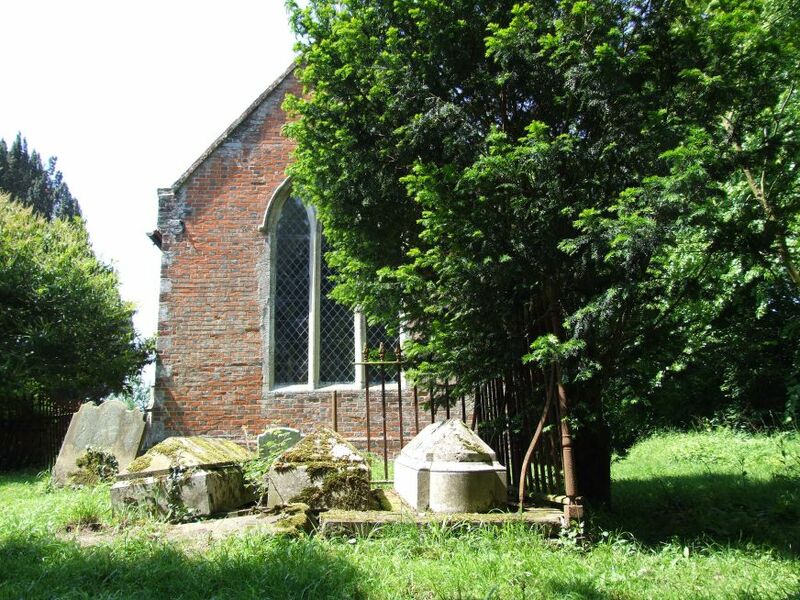 This was a medieval church once, but its tower fell, and like many Suffolk churches it was pretty well derelict by the 19th century. 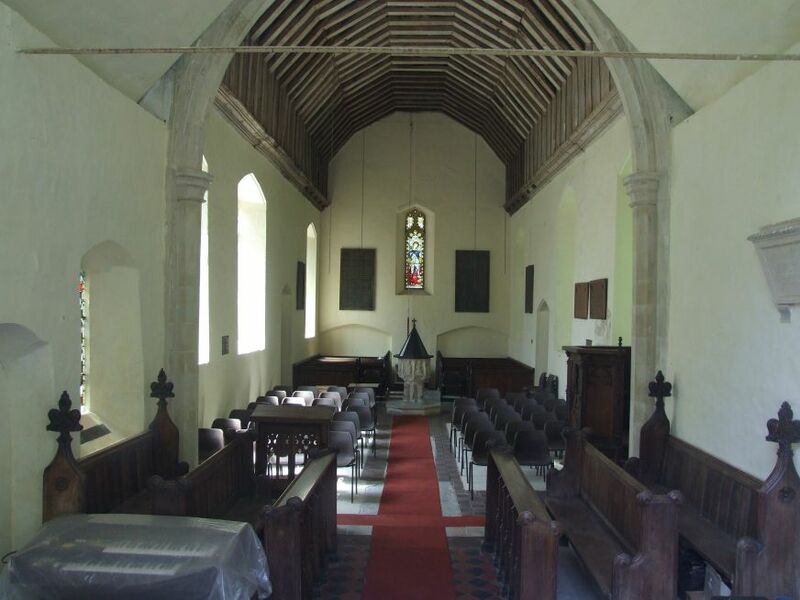 The chancel was rebuilt as recently as 1907; the western part of the nave with turret looks about forty years earlier than that. On my first visit, I couldn't find the medieval glass that Cautley had seen here in the 1930s. 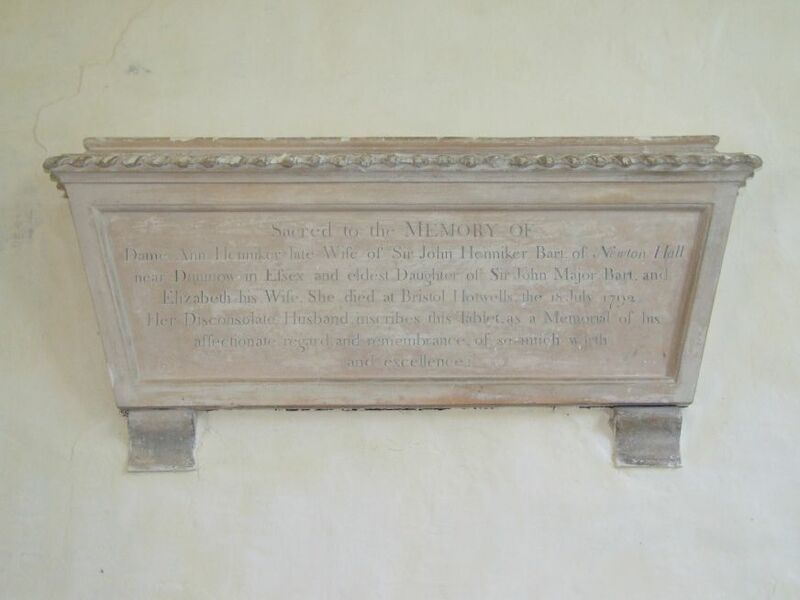 A few months later, I found it down the road at Mendlesham, along with a brass which Cautley had also seen. They had been removed on redundancy. The brass is to Margaret Armiger, in the 1570s; the glass includes a figure with the head of a lion. You can see images of them which I took in 2002 below; click on them to enlarge them. Until my revisit of 2007, I had never been inside this church. The door is always locked, and there is no keyholder listed. However, when I had pointed this out six years earlier, I had received a number of e-mails from people in the village telling me that I was welcome to knock on their door and ask for a key. 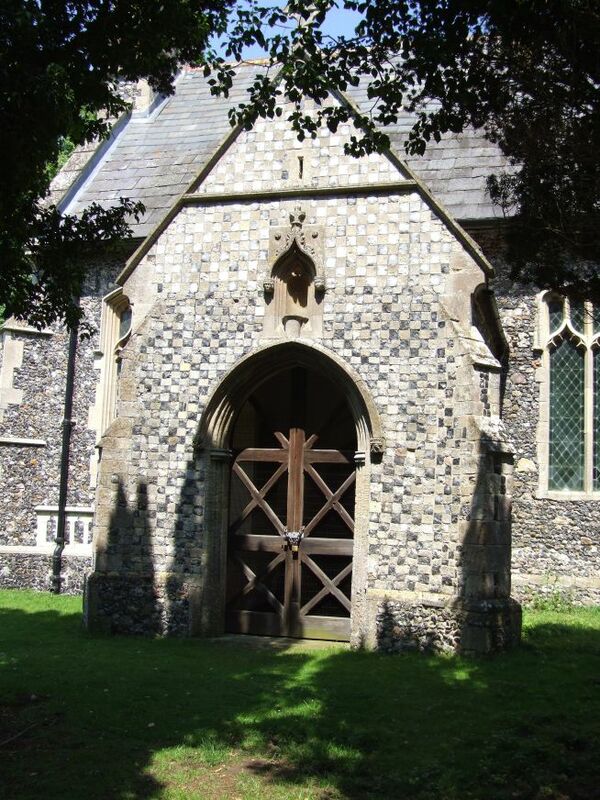 I hasten to add that there is no reason at all for St Margaret to be kept locked, except for the singular reason that, unlike just about every other church building in Suffolk, it is private property. The church is set at the end of a pretty close, and I was told that virtually all the houses in this close have keys. We extended our search to the top road, and finally found somebody in. It took a bit of persuading for her to let us in; she was not terribly keen, I must say. 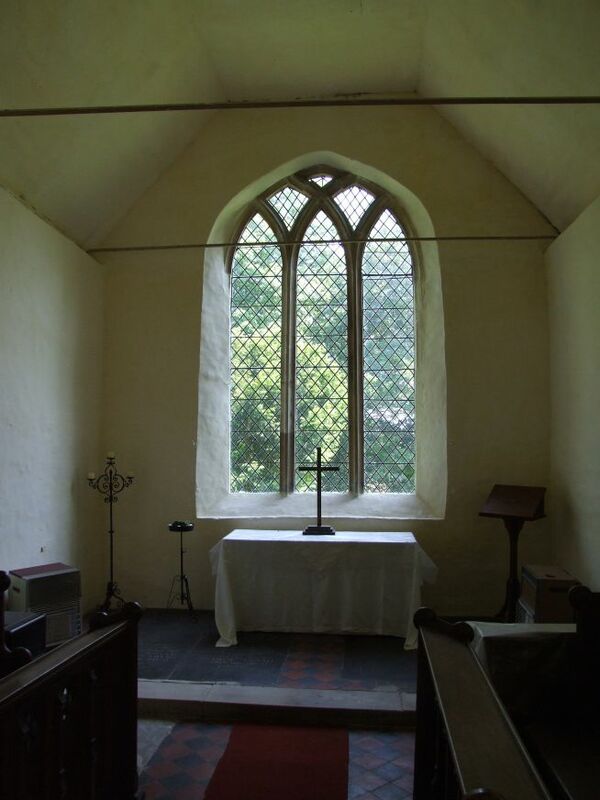 And once inside, she didn't let us out of her sight for a second, although most curiously she did say that she would prefer it if the church was kept open all the time. 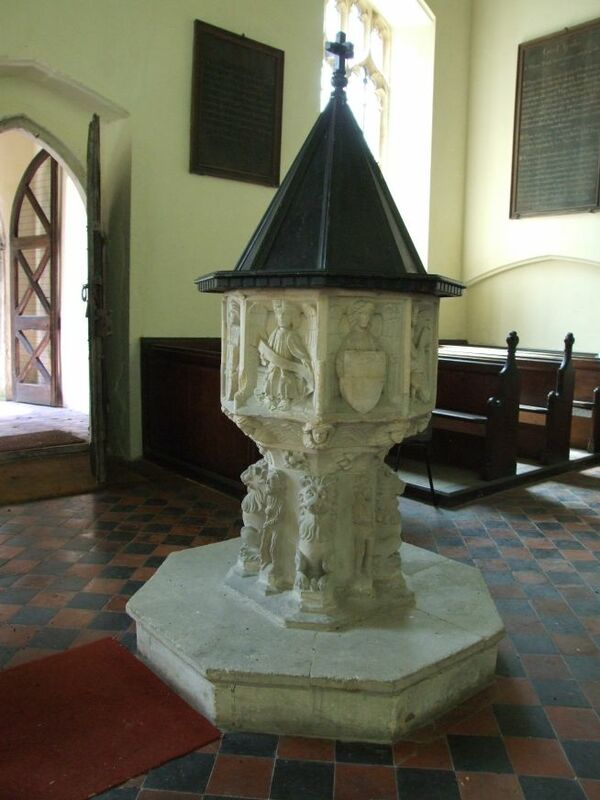 Perhaps the most interesting feature inside is the fine 15th century font, similar to the one up the road at Worlingworth. It is topped by a 17th century font cover. 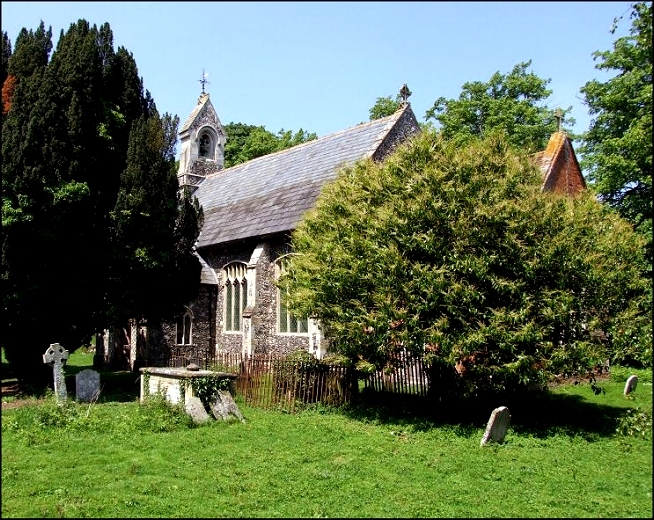 St Margaret is a typical rural church of the ordinary people. Being redundant, and a proud possession of the village, it is very well cared for, rather than being left as a refuge for the Sunday club. 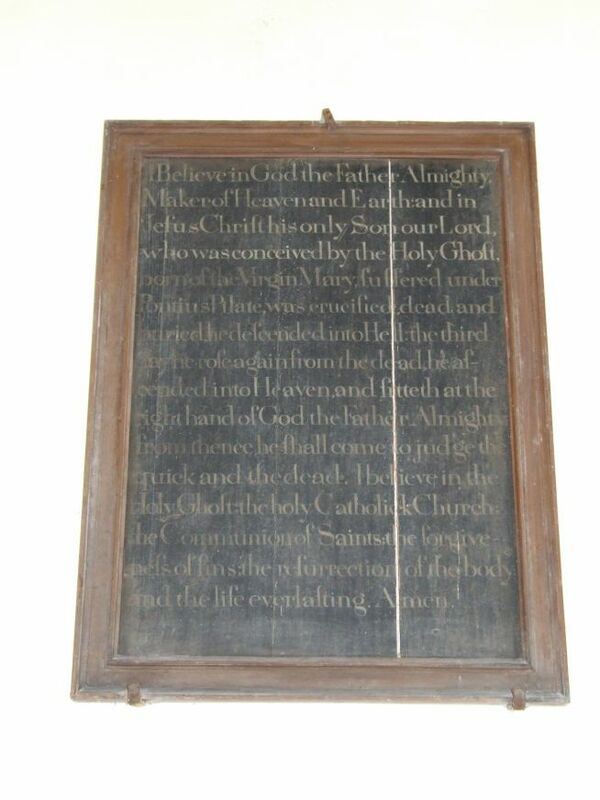 The four decalogue boards which were formerly below the east window are now reset at the west end. There are two good windows, one of St Margaret in the west wall, and a beautiful Arts and Crafts cross in the south side of the chancel. 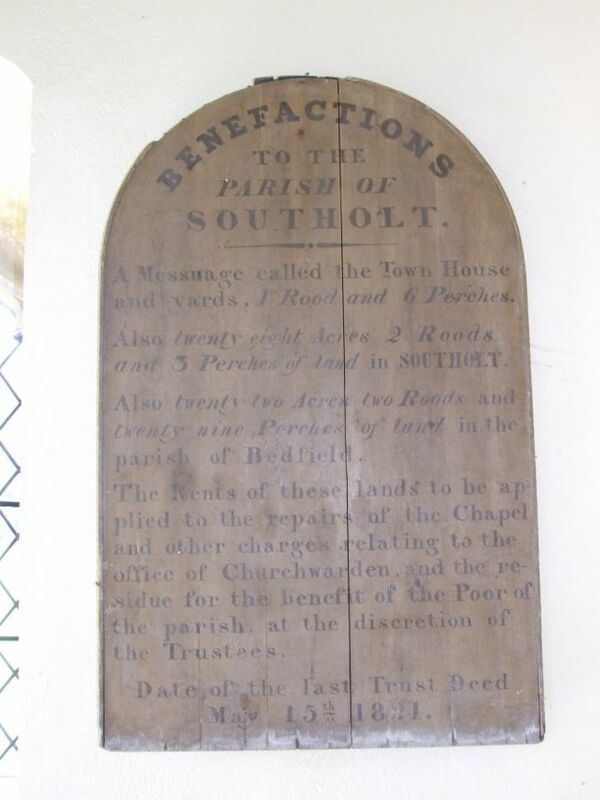 No church in this part of Suffolk is complete without its Henniker memorial, and Southolt's dates from 1792, but more moving is the WWI plaque to Charles Marchant of Athelington House, who died in France on October 4th 1918. He was just 24 years old. There are more Merchants in the lovely graveyard outside.